Day 4 - After some brief birding and breakfast at Rancho Naturalista, we all piled in the van and headed toward the San Gerardo de Dota Valley and the Savegre Mountain Lodge. We had a few stops planned along the way, and they all turned out to be incredible! Once on the PanAmerican Highway, we made a stop at a nice little restaurant called Mirador de Quetzals. 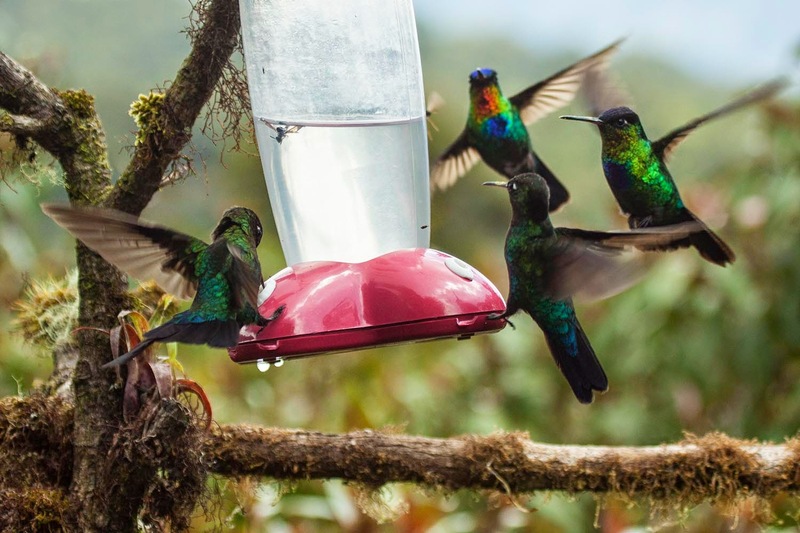 You might think that we were stopping here in search of quetzals, but we were actually there to see the amazing Fiery-throated Hummingbirds that frequent their hummingbird feeders. Before we were even out of the van, we could see the hummingbirds. Upon closer looks, we counted 35 Fiery-throateds and 15 Magnificent Hummingbirds! We spent almost an hour watching and photographing these amazing birds as they zipped around the feeders. We also enjoyed the many Band-tailed Pigeons flying around the valley as well as our first Black-and-yellow Silky-Flycatcher of the trip! 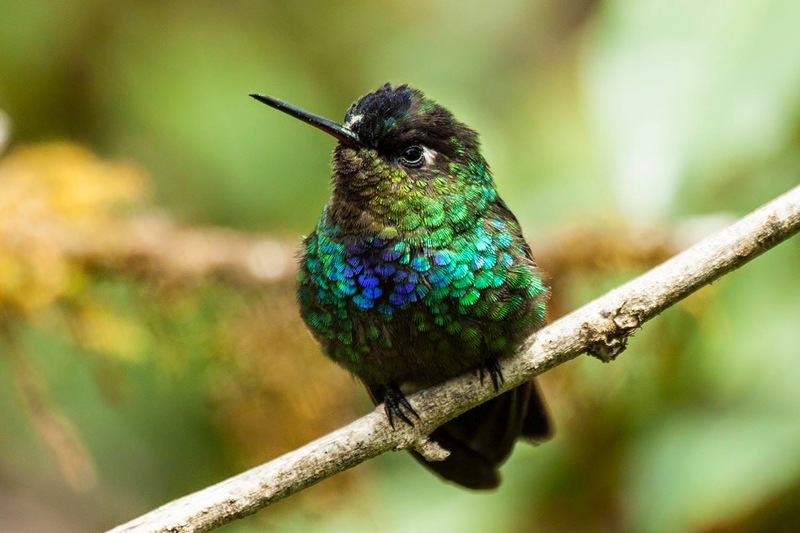 An up-close shot of one of the many Fiery-throated Hummingbirds. We were amazed by the number of Fiery-throated Hummingbirds coming to the feeders! It was hard to pull ourselves away from the feeders, but we finally loaded back in the van and headed up to an even higher elevation. The paramo, an alpine tundra habitat, of Cerro de la Muerto is quite the unique habitat area. It's at such a high elevation that the temperatures are chilly and you are above the timberline. This leads to the presence of several species that specialize in this habitat zone. 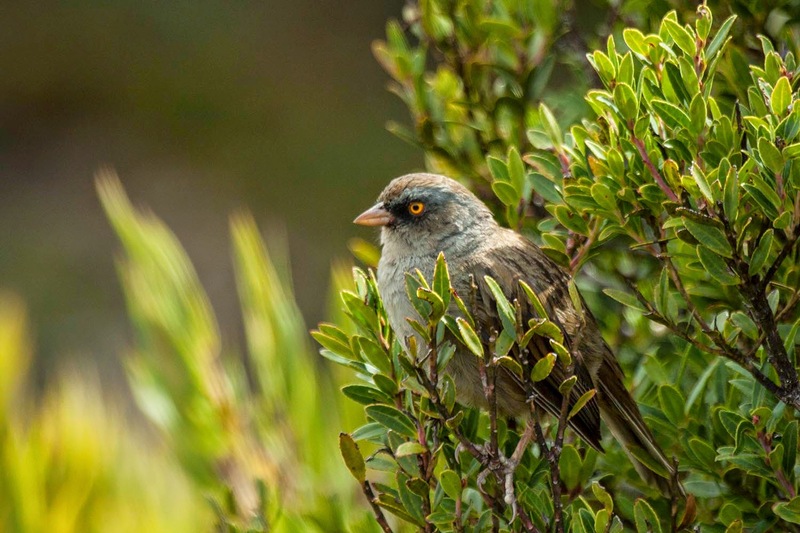 We quickly found one of our targets, Volcano Junco, and got in position to photograph them. They were very comfortable around people, and I actually laid down on the ground and had them pretty much walk right up to me. An adult Volcano Junco perches in a bush just long enough for me to snap a nice shot. This young Volcano Junco was following one of the adults around and paying no attention to us. While photographing the juncos, we heard a Timberline Wren flying over but had trouble relocating the bird. We hiked along several of the roads in the paramo and found some other cool species including a couple Black-billed Nightingale-Thrushes. As we were about to head back to the van, I heard an unfamiliar song and a few of us decided to hunt it down. 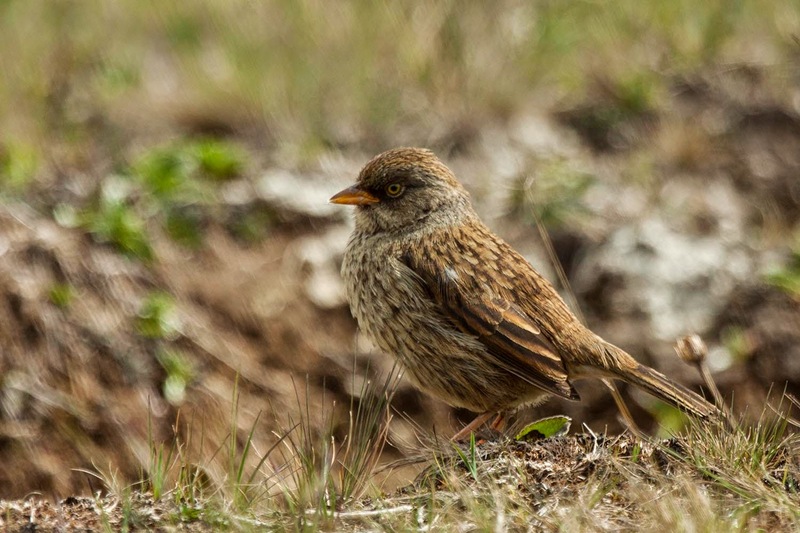 We were extremely glad we found it when we finally got a look and identified it as a Peg-billed Finch! We thought we had lucked out and avoided rain even though the skies looked threatening but while walking back to the car, the rain let loose and we got soaked. It was beginning to get late in the day so we continued on our way to the Savegre Mountain Lodge. On our way down the road into the San Gerardo de Dota Valley, we stopped at a little roadside cafe called Miriam's. We were surprised by the awesome variety of birds and even more surprised to find the best hot chocolate any of us had ever had! 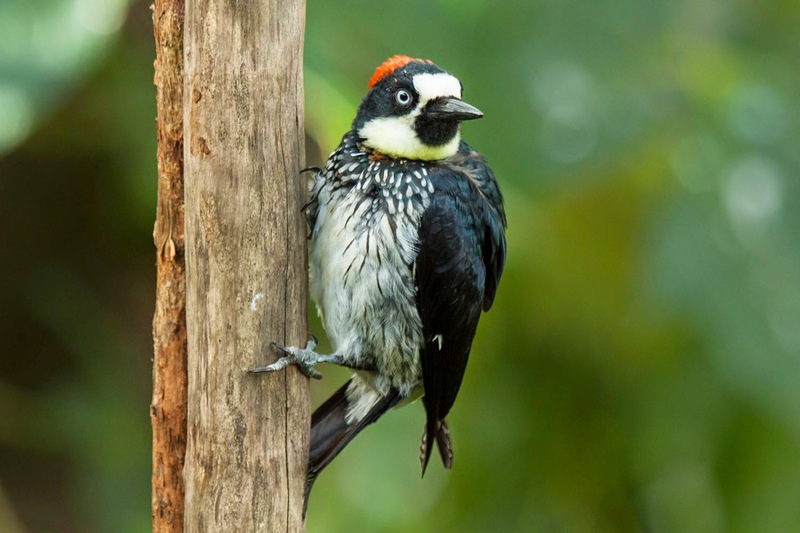 I've seen Acorn Woodpeckers in the US before but it was fun to see them at high elevation locations in Costa Rica. 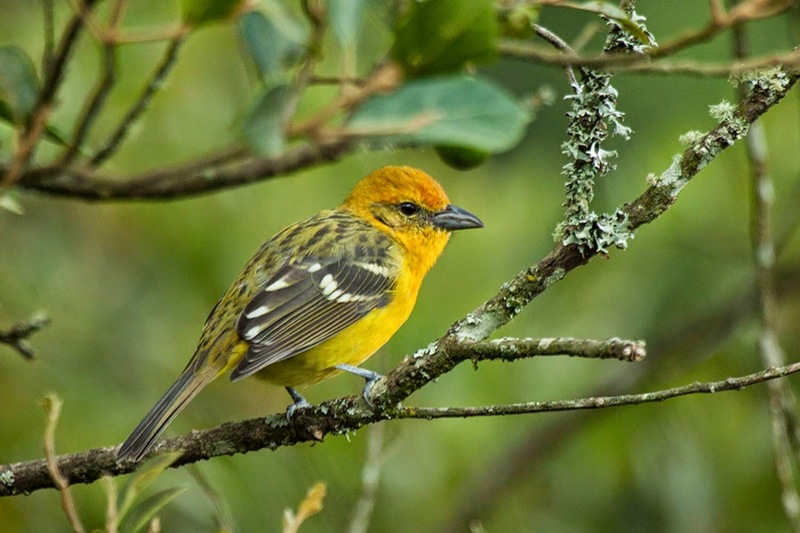 Flame-colored Tanagers were common visitors at the feeders and also very fun to photograph. 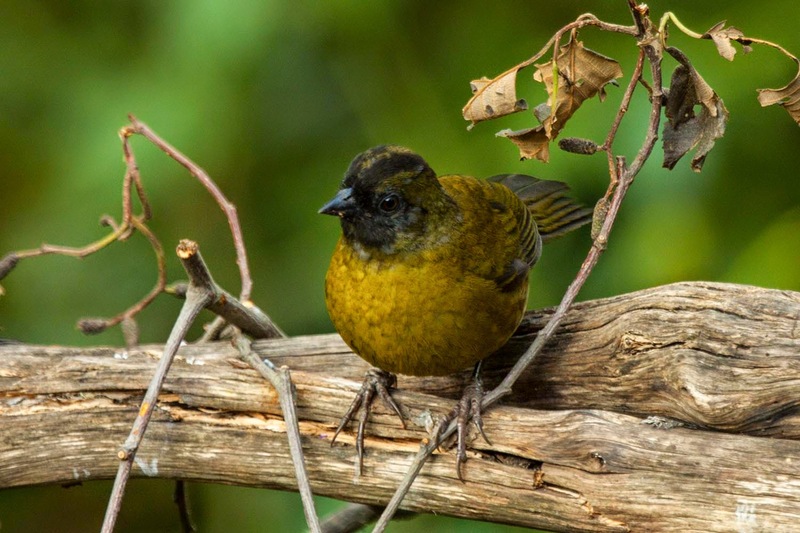 Look at those feet on this Large-footed Finch! 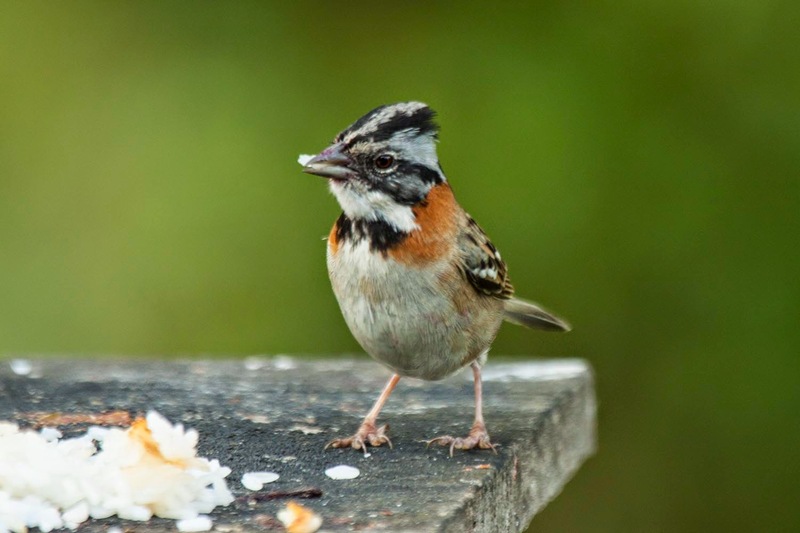 Rufous-collared Sparrows are very common throughout Costa Rica. We thought our day of birding was done as we made our way to the hotel, but there was one more surprise waiting for us. As we were driving down the road one of the kids yelled "stop, look at that hawk"! We all hurried to get a look before the bird disappeared. Everyone got to see the only Ornate Hawk-Eagle that we had on the whole trip! We settled in to the very comfortable Savegre Mountain Lodge after a very rewarding day of birding. Check back soon to hear about our time spent birding around the lodge!